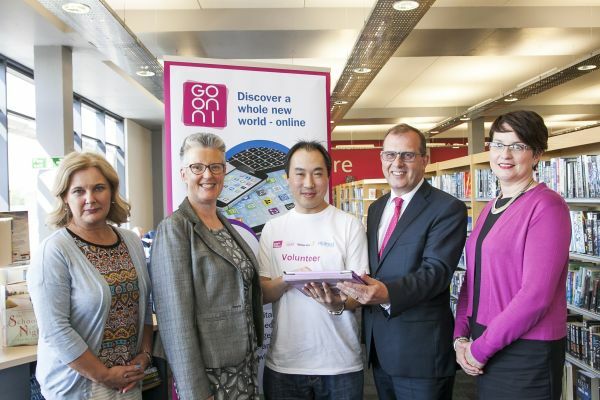 On Thursday 4 May, more than 70 business volunteers took a break from their offices to support almost 350 Silver Surfers – people over the age of 50 – with FREE digital skills, getting to grips with the Internet, email, Skype and social media in 25 libraries across Northern Ireland. Organised by Business in the Community, in partnership with the Department of Finance, and supported by Libraries NI, Silver Surfers’ Day has been helping older people get online for 14 years. Denise Cranston, Head of Community Resilience, Business in the Community explains: “In today’s increasingly digital world, it can seem as though everyone is online. However, there are still a considerable number of people not benefitting from all that the internet has to offer. Training sessions like these provide a valuable opportunity for older people to learn basic IT skills that will enable them to get connected. Cash for Kids Mission Christmas – Mission Successful!